In 2016, a New York Times article discussed the heritage and ongoing work to maintain Irish lighthouses. The banner picture used was one of Galley Head Lighthouse. 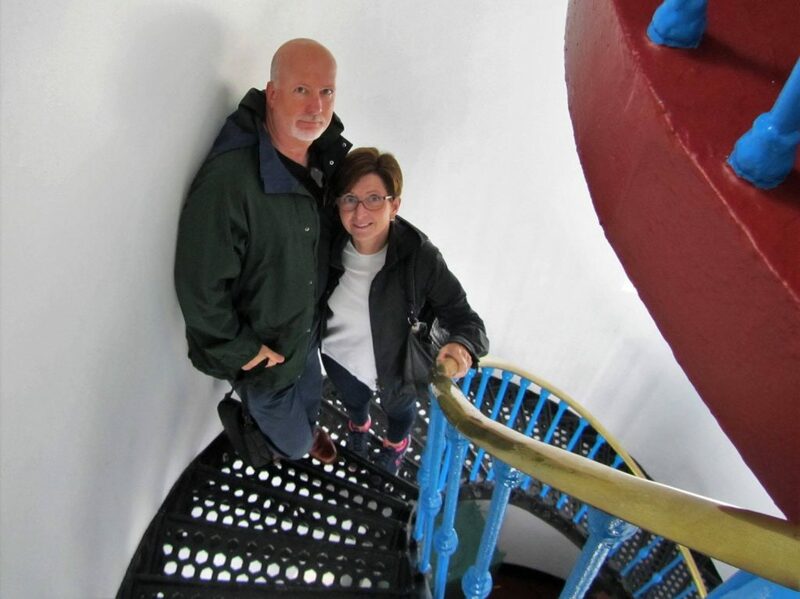 Earlier in the Summer of 2017, we were invited on a private tour of Galley Head lighthouse. 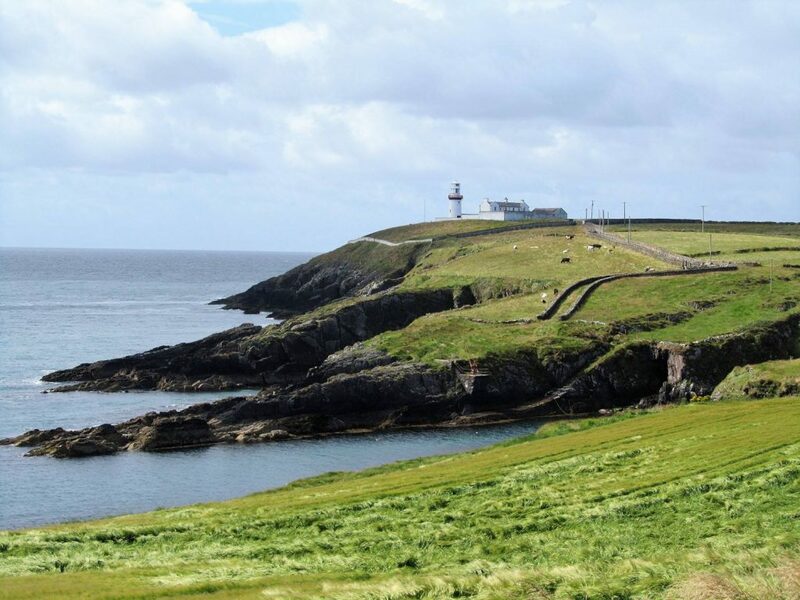 There are no public tours of the lighthouse, although it would be a popular tourist attraction on the Wild Atlantic Way if there was a way to make tours planned and bookable. Private tours can be arranged c/o Gerald Butler. 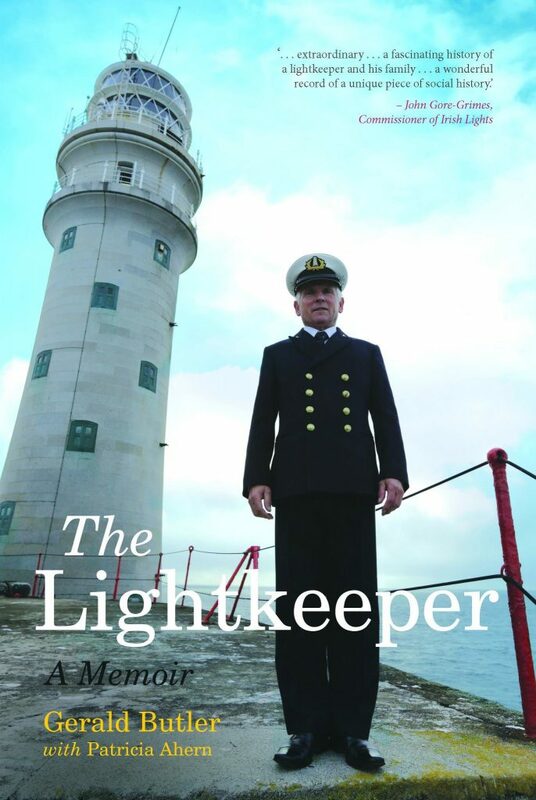 We were shown around by ex-lighthouse keeper Gerald Butler who grew up at the lighthouse, kept the light there (as well as other lighthouses) and whose fascinating memoirs are available. The link to his Facebook page has a very interesting short video by Electric Ireland about Gerald’s life and work. Lighthouse keeping has become one of a few historical and transitory professions that passed in three or four generations; from the need to safely navigate merchant shipping to the advent of satellite navigation. 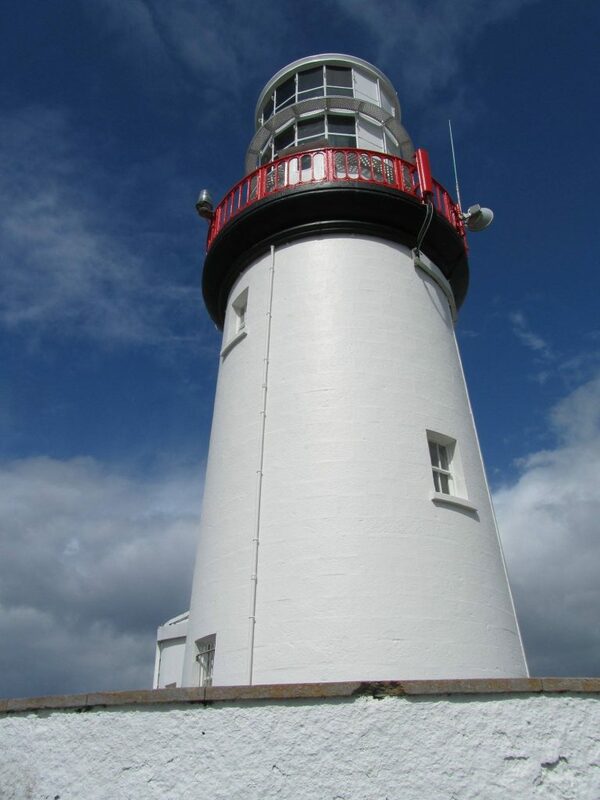 Lighthouses in Ireland are managed by Irish Lights which has included some tourism element as part of their offering. Galley Head Lighthouse is a white landmark rising 53m (174 ft) above the roaring Atlantic Ocean on the promontory of Galley Head (Dundeady Island). 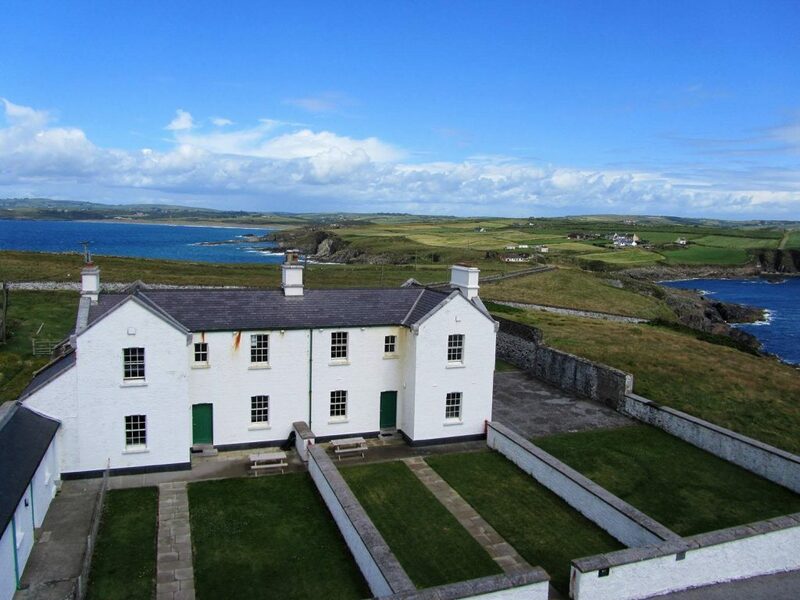 Irish Landmark Trust has restored the two lightkeepers’ houses. Galley Head is one of 70 lighthouses around the coast of Ireland operated by the Commissioners of Irish Lights. The lighthouse was built in 1878, during the heyday of lighthouse building, and in its day was the most powerful lighthouse light in the world. The lighthouse’s original light could be seen in clear weather for a distance of 30km. The lighthouse was converted to electric operation in 1969 and automated in 1979. 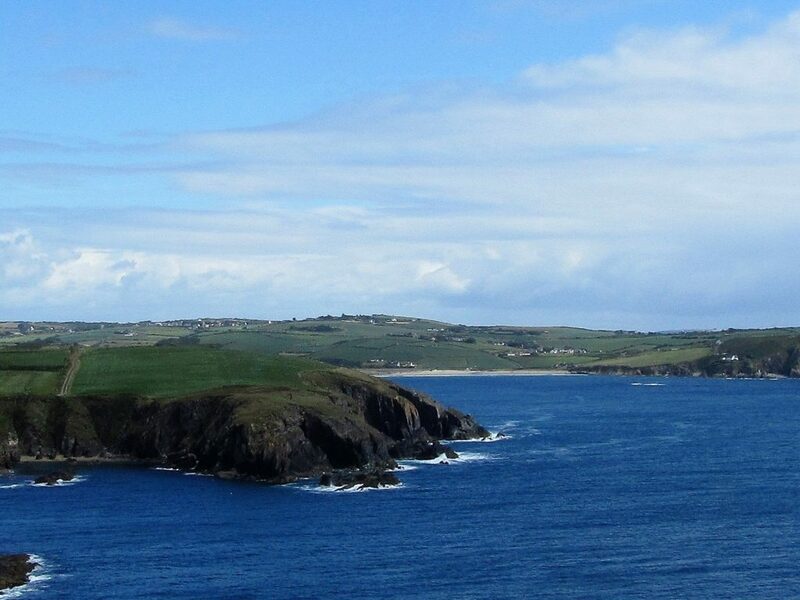 From the top SW corner of Ballynoe House, there is a clear view of Galley Head Lighthouse. In reverse, Ballynoe House lies a across the bay and Red Strand behind the row of trees on the ridge (far right of photo below). Galley Head is farmed by Felicity’s cousin our neighbouring Dunowen Farm. This is now also a source of locally-grown grain for use in the owner’s Clonakilty Distillery, but that is another story. In the meantime, a toast to Gerald and his ilk.